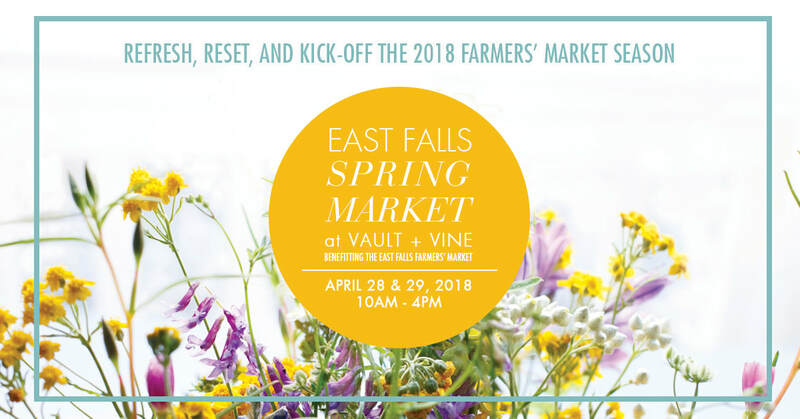 The East Falls Farmers' Market and VAULT + VINE team up once more to kick off the 2018 Farmers' Market Season with the East Falls Spring Market, Saturday and Sunday, April 28th & 29th, 10AM-4PM. Each day will offer a different selection of artisans with items to refresh and reset your home and wardrobe for the spring and summer. Mother's Day is on the horizon and this will be the perfect opportunity to find something unique and lovely for the moms in your life! East Falls Beer Garden will be on site to provide lively libations or patrons can sip and nosh on the lovely offerings from the Vault + Vine Cafe. Expect additional food vendors over the weekend as well! A Preview of East Falls Spring Market Vendors! Show me more Spring Market Vendors!